Tooth and nail: I'll be blatantly honest and say that I really, really don't understand Japan. Does that make me xeno...not phobic, I'm not scared of Japan. Xenobephuddled? Xenokonfused? In any case: People are getting all matchy-matchy with their nail polish and their teeth over there. Rise and shine: It's one thing to read beauty routines magazines suggest we follow; it's quite another to read what women actually do in the morning. No More Dirty Looks is starting a new series that looks at women's routines, which I always find oddly hypnotic to read about. Lady financiers: Lo and behold, a pedicure story makes the Financial Times. A legal wrinkle: In an industry about-face on false advertising, cosmetics company B&P is suing Kris Jenner (the mother of the Kardashian clan) for getting a face lift, after they'd hired her to be their rep for Beautiful Eyes in a Bag. To me this is actually a logical extension of the airbrushed-ad ban in Britain: WOW you mean I won't look like Kris Jenner, who has been a wealthy woman for a good long time now, just by using your product? Color me shocked. Bad week for beauty and Israel! : First Nivea seems to have left Israel off its main buying site (which the company says is because the Israeli page was under construction), and then Hudson New York questions why Lush won't open stores in Israel. The company reportedly has said, "We want everyone in the country where we are trading to be on an equal footing as far as basic human rights go." You know, like Saudi Arabia. Nature's masseurs: Speaking of Israeli, a spa in the holy land is offering snake massage, in which a variety of large, heavy snakes (great for deep-tissue work!) and smaller, wrigglier types (for the fine "fluttering" effect) are dumped upon your back while you...relax. Fish pedicures are so 2010. Ms. 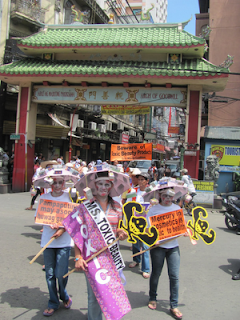 Toxic Beauty: Filipino activists hold a "toxic beauty parade" to call attention to the dangers of skin whiteners. Peas in a pod: Fun piece about two friends with different attitudes toward cosmetics swapping beauty regimes for a day. Pretty smart: Sally at Already Pretty takes on the case of smart vs. pretty in a way I haven't seen before—examining how we got to that point in the first place. I'm pretty much always game for any rant about how it's treated as an either/or question, but to see a reasoned consideration of the question is even more engaging. Hemlines and defiance: Decoding Dress's three-part series on hemlines is a must-read: She covers privilege, defiance, age, and triumph. I've only recently begun to worry that I'm getting too old to show as much leg as I used to, and this series came my way just in time. Talk about a bombshell: Chances are that the breast-implant bombs, which the TSA recently issued a warning about, will not actually ever happen. WHEW. Black beauty: The Atlanta Post examines the current state of beauty companies targeting black women. Lots of issues raised here: The growing focus on serving the needs of multiethnic women, the ever-present and major gaps between many customers' needs and the products on the market, and how the industry can better serve its customers even when once-black-owned lines are being snapped up by cosmetics giants. I'm grateful as always for your links to me and your encouraging words, Autumn, but I'm especially grateful this week for the link to Danielle of Final Fashion. Adding to my must-reads. Also the Steinem interview! Thanks for the mention! I've printed out two of these links for future reference. DeeDee, but of course! And I'm glad I could put Final Fashion on your radar, and in turn we can both thank Terri for putting it on mine! Ha, ha! I like "Xenobephuddled." I feel similarly about Japan. Cristina, glad to hear I'm not alone! I'm intrigued but...don't get it! I have Nike Air Force 1 listed five categories of possible outcomes in no particular order of prominence or importance based on my own research into the subject. I do not subscribe to any of these beliefs and have no scientific proof to validate them, quite simply because I have not been able to find any to back up any of Nike Air Foamposite One the claims. Cosmic Anomalies Collisions of seismic proportions from comets, asteroids, space debris, wayward planets could all be possible for total destruction of Nike Air Max 180 EM Mens planet Earth. Discovery of black holes, worm holes, distortions in time/space continuum can also be grouped in this category. Human Intervention Is there a possibility of World War III? if this were the case it is beyond a shadow of a doubt that it will be nuclear and ultimately devastating. Outside of man's own self destructive tendencies the simple and often overlooked Free Trainer 3.0 possibility of nuclear holocaust through accidental causes at any or all of the nuclear energy plants scattered throughout the world is not beyond the realms of possibility. 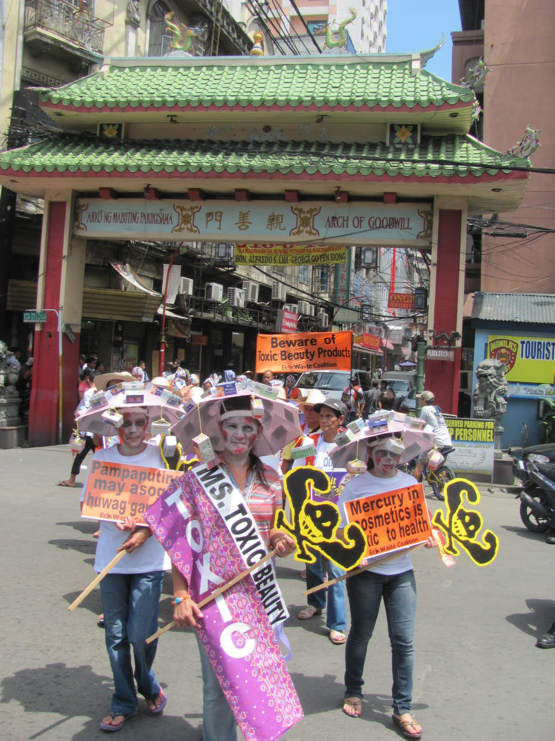 Swine flu pandemics, plague, biological warfare, terrorist plots are all within mankinds capabilities. Religious Apocalypse Religious fanaticism has WMNS Nike Dunk Heels been the cause of turmoil throughout the ages. Different creeds, tribes, religions all have their own beliefs in regards to the end of the world. There are those who believe that the world will end during the reign of the next pope, that the Sneaker Online End of the Church equals the End of the World. Is there another coming of the Anti Christ? A public serviceTop of pageAbstractThe Christmas bird count is a model to be emulated in distributed, volunteer science. The 5th of January marks the completion of the 109th Christmas bird count, a yearly rite in which groups of North American bird lovers pick a day around the winter solstice, fan out in teams to their designated areas, and count every bird that they see. Held every year since 1900, when the National Audubon Society proposed it as an alternative to the then popular Yuletide activity of competitively shooting birds, the count is the longest running volunteer science project in the world. Its data have informed reams of peer reviewed work, such as an ongoing effort by Audubon researchers to predict how birds will adjust their ranges in response to climate change. The count has served as a model for any number of volunteer science efforts. Such projects now flourish not least because the Internet makes it so easy Nike Air Diamond Mens Shoes for scientists Nike Air Jordan Mens to Nike Air Yeezy find, recruit and coordinate the volunteers. Out in the field, examples range from Project BudBurst, in which participants report on the timing of climate influenced botanical events such as flowering and leafing, to the Great World Wide Star Count, in which astronomy buffs check the number of stars visible in certain bright constellations as a way of monitoring light pollution. The Nike Free Run 5.0 Kids Children Shoes lesson Air Jordan X 10 of this list is that the world is full Air Force 180 Mid of enthusiastic people and that the opportunities for researchers to tap into this enthusiasm are limited only by Nike Shox Turbo 13 their own imaginations. Volunteer science is a win situation for all concerned. Scientists get to take on projects that would not be feasible for even the largest research group, while helping to increase the public's understanding of, and support for, science. And the Penny Hardaway volunteers get to have fun, while experiencing the satisfaction of defending the environment, fighting disease or expanding human knowledge. So researchers should think creatively about whether the data Nike Air Presto Leopard they need, or the crunching or sorting they must do, can be outsourced to members of the public. And while they are at it, perhaps they should also consider joining one or more citizen science projects themselves. Participation in such efforts can reconnect scientists Designer Shoes consumed with grant writing and project management with the 'doing' of science. In the Christmas bird count, the most skilled bird spotters and identifiers are inevitably the non scientists; professional ornithologists spend too much time doing paperwork. And, of course, volunteering for science feels good, especially when you see a black oystercatcher, say, or two merging galaxies something fun, beautiful and rare. Follow me on Twitter and on Instagram be sure to check out and like the Examiner Kicks Facebook page and subscribe to our Youtube channel which is full of updates and commentary you won't see here. Dior to offer virtual access to its shows this JuneThe Fashion industry has often been Nike Air Max 2010 Mens slow to adapt to the changes that technology is bringing to the industry as a whole and until recent tech companies merging with fashion brands were almost.